Our super versatile travel organizer. Very compact when folded. 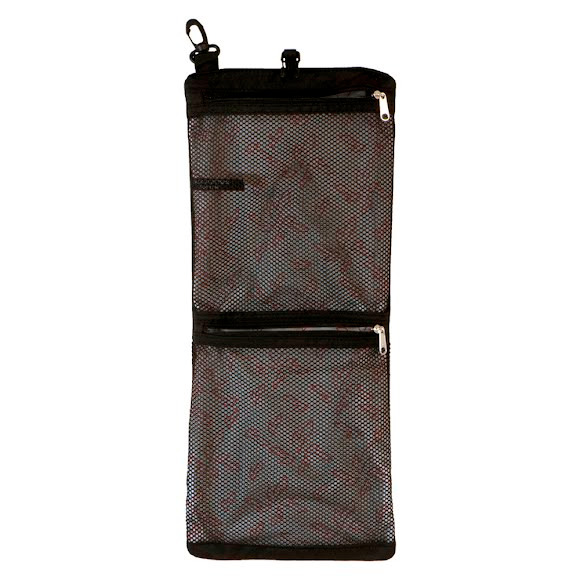 Three zippered mesh pockets allow contents to be easily found. Features a swivel hook for hanging and a small thin buckle for securing when folded. Dimensions 9" x 7", Open- 9" x 16.5"